A good mattress should be a durable, long-term investment that you shouldn’t have to think about replacing for many years. The typically high upfront cost should be offset by a product that provides years of consistency and comfort. That said, there will eventually be a time when your mattress needs to be replaced. Because we typically own them for so long and gradually get so used to the feel, it’s often easy to put off the task of replacing them. After all, mattresses are expensive and where do you even begin the search for a new one? Any search should begin with understanding when your mattress has run its course. To help you out, here are some telltale signs that you should replace your mattress. High-quality foam mattresses should last between ten and fifteen years. However it’s important to note that the mattresses durability depends on the density of each individual layer. Memory foam mattresses consist of a comfortable top layer of memory foam, followed by transition and base layers made of polyurethane foam (polyfoam). Higher density in each of these layers make for a more durable mattress, since it will not soften and lose its support as quickly over time. For optimal comfort and long-term support, the top layer of memory foam should have a density of at least 4 lb per cubic foot, while the polyfoam layers should be 1.8 lb per cubic foot or higher. These mattresses contain coil support systems that evenly distribute your weight across the mattress. These mattresses should last for ten years and sometimes longer if the mattress is flippable. That said, innerspring mattresses typically do not offer much in the way of comfort. Their long lifespan is offset by the fact that they do not have a top layer of comfort foam. This top layer is where mattress degradation typically starts, as it’s the layer that deals with the most direct compression from the sleeper’s body weight. However, a high-density top layer will last longer and will provide better support than an innerspring design. As the name suggests, hybrid mattresses are a combination of memory foam and innerspring designs. They have a coil base, followed by multiple layers of foam. As with memory foam mattresses, the durability of a hybrid mattress depends on the density of the foam layers and the quality and quantity of the coils used in the base. Generally speaking, a higher coil count, will provide more support and better limit the motion transfer. Equally important is the gauge of these coils. Coil gauge is a measure of thickness. Most coil gauges fall within the range of 12-15. The lower the gauge, the thicker and more durable the coil. In short, a hybrid mattress with high-density foam layers and a high number of low-gauge pocket coils will remain durable and provide quality support for a longer range of time. There are numerous reasons why people report getting poor sleep. Stress, anxiety, chronic pain, acute soreness and other external factors can cause anyone to occasionally have stretches of restless nights. But if you constantly find yourself tossing and turning during the night and waking up sore or unrested, your mattress could be the culprit. Usually, these are signs that your mattress is no longer supporting your body the way it once did. Older mattresses lose their ability to provide proper support, resulting in more strain on common pressure points (back, hips and pelvis, shoulders, etc). This often happens with low-quality, low-density foam mattresses. Over time, the top comfort layers will soften and will no longer support your body weight effectively. You will eventually feel like you are sinking down into the mattress. Your body can then become easily misaligned during sleep. When this starts to happen, it’s time to make a change to a higher-density foam mattress that will provide the support you need. Physical defects should be pretty clear right away. If you start to notice sagging in certain areas, start to feel bulges and lumps or if you are able to feel and/or hear the coils through the mattress, it’s a sure sign that you’re due for a new one. For those of you with older, less-expensive mattresses, it’s also worth noting increased motion transfer. These mattresses are most likely built with a Bonnell coil design. The outdated Bonnell design features hourglass-shaped springs that are interconnected with metal meshing. As these mattresses age, the integrity of the springs quickly degrades and they are less able to absorb the energy of a moving sleeper. The energy starts to transfer between the connected coils, spreading out over the whole mattress. So if you can feel your partner’s every move beside you, it’s time for a replacement. 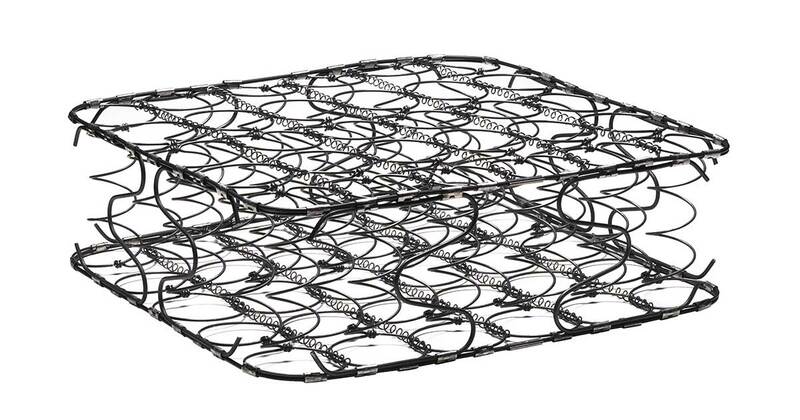 Regardless of motion transfer, it’s generally advisable to replace a Bonnell coil mattress. A higher quality mattress would have a pocket coil design, which are individually wrapped coil systems. Unlike traditional innerspring systems that are interconnected, pocket springs are entirely independent allowing for added contour and pressure point relief than older innerspring models. Get rid of outdated Bonnell coil mattresses. Significant changes to your lifestyle should go hand in hand with an adjustment of your sleep environment. 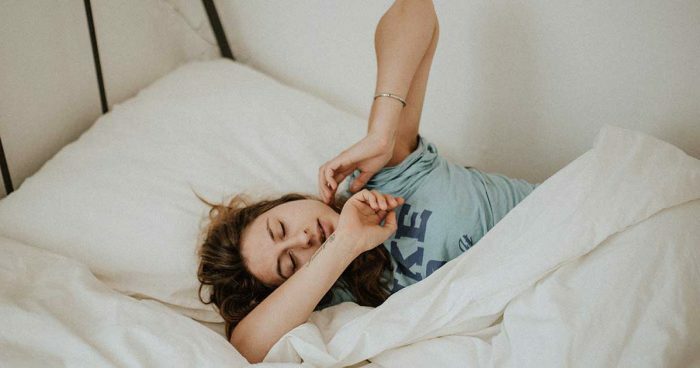 Whether it’s putting on weight, ageing or the addition of another sleeper, these changes can affect the performance of your mattress. More weight puts added pressure on both coil and foam designs, especially if the mattress is already a few years old. Find a mattress that suits your new circumstances in order to optimize the quality of your rest. You shouldn’t simply have to “put up” with the degrading quality or comfort of your mattress. Considering the fact that we spend roughly one-third of our lives sleeping, investing in the best sleep possible is paramount for health and wellbeing. If your mattress is becoming uncomfortable and the quality of your rest is noticeably suffering, don’t accept it as an inevitability or ignore it. Find a mattress that will give you the best chance at a good night’s sleep for years to come. The Silk + Snow Memory Foam Mattress is made with three layers of high-quality foam, that provide a combination of durability, support and luxurious comfort. A high quality 4 lb layer of gel memory foam provides premium comfort and helps to relieve pressure points while you sleep. A 1.8 lb layer of transitional performance foam helps to provide support and limit motion transfer, followed by a 1.8 lb base layer to form a stable foundation. For added convenience, the mattress cover is fully removable and washing machine ready. The Silk + Snow Hybrid Mattress contains individually-wrapped pocket coils made of double tempered steel which work independently of each other for better support and reduced motion transfer. They also contain three layers of foam: a layer of high-density support foam, a layer of 3 lb gel memory foam and a top layer of cooling gel foam. Both the pocket coils and the foam layers are meticulously sourced from Canadian manufacturers to ensure optimal comfort and quality.